The year is 2028. Vehicles, portable devices, home appliances and modern gadgets are now all interconnected and work seamlessly alongside each other. Inter-connectivity is here and our digital goods now interact securely, at speed, without need for human interaction. This is the Internet of Things and this will be the backbone of our future. Skynet will be the world’s first AI blockchain chip for the The Internet of Things (IoT) ecosphere, allowing the connectivity of billions of devices optimised through a blockchain network. 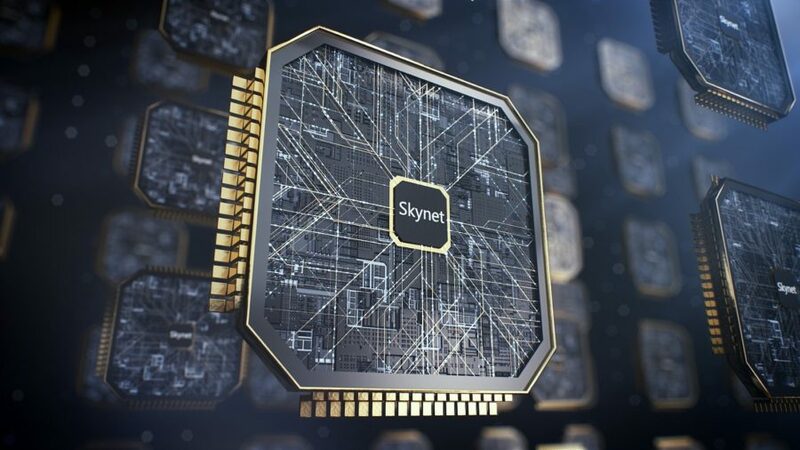 The core goal of Skynet is to integrate the world’s first blockchain chip, known as Skynet Core into every IoT enabled static or mobile device in the world. By converging blockchain with IoT there is an increase of trust between devices, micro-transactions can take place, costs are reduced by eliminating intermediaries and the exchange of data is instantaneous, incredibly secure and should work harmoniously. The instant transaction confirmations and seamless interactions required for IoT infrastructure means blockchain, in its current form, is not ready for the scale of usage anticipated for the industry. The vision of Skynet is to create a complete end-to-end ecosystem, addressing IoT functionality by deploying billions of blockchain enabled chips into common devices worldwide. The mission is to unite millions of devices together through a blockchain network that can cope with the enormous numbers of autonomous interactions expected as devices become increasingly interconnected. 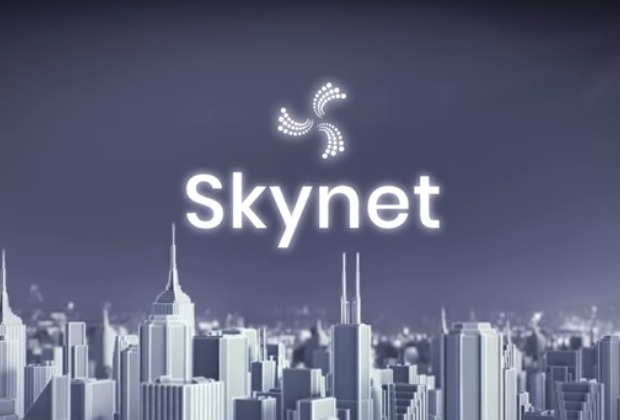 Whilst an interesting choice of branding and with clear nods to the 80s Terminator films throughout their roadmap, hopefully measures are in place to ensure the Skynet network doesn’t eventually become self-aware. Preparing the IoT industry for the future and creating the correct foundation within blockchain is a repetitive theme for ICOs in 2018. However at the beating heart of Skynet is a unique and bold vision to re-build the industry from the ground up. Replacing every IoT device with their innovative blockchain enabled chip known as Skynet Core. The vision set out in their extensive, and refreshingly detailed 80 page ‘Light’ paper outlines a trans-formative project that is probably the most ambitious we have come across in 2018. Whilst the flagship feature of the project is the roll out of their blockchain chip Syknet Core, this is by no means the limit to their vision. The Skynet Open Network (SON) rather than the Skynet Core chip is the hyper scalable distributed ledger that will enable transactions to take place between IoT devices. The network, which claims to become a fourth generation IoT blockchain, will provide widespread adoption by first initialising the SON network through the billions of Skynet Core enabled devices. Their inter-connectivity will then work to facilitate IoT innovations such as smart homes and cities, self-driving cars, smart furniture and AI wearables, making the SON the most adopted, infinitely scalable blockchain network on the planet. The scale of ambition within this project is truly breath-taking and continues to captivate our attention the more research we compile. If successful it would allow SON to become the new internet of blockchains, forging the roots for a new artificial intelligence based IoT economy that would literally bring this technology into the hands of the masses. The advantage of integrating Skynet Core within billions of devices will be that each of them will contain SON's three native currencies. 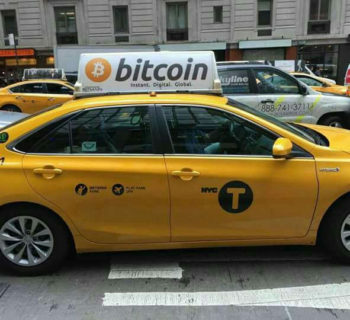 Conveniently this will then lead the way for their network to achieve mass, real-world usage through the exchange of these tokens. The three SON cryptocurrencies will facilitate micro-transaction between linked devices and provide utility for dAPPs to utilise IoT devices within their design. Importantly the SON Network will also allow interactions between other blockchains via their planned cross chain bridge and will focus on horizontal scaling technology to ease scalability. SON Nova: Is a smart contact layer that will work like Ethereum, Stellar, Lisk, EOS or Waves to allow the development and usage of decentralised applications (dAPPs). SON Idex: Intended to be the layer that provides interconectability of IoT devices. SON Singularity: Intended to be the blockchain element that focuses on the sharing of AI knowledge across the various IoT machine learning applications. The Skynet token will act as the native staking token for their Proof of stake blockchain. 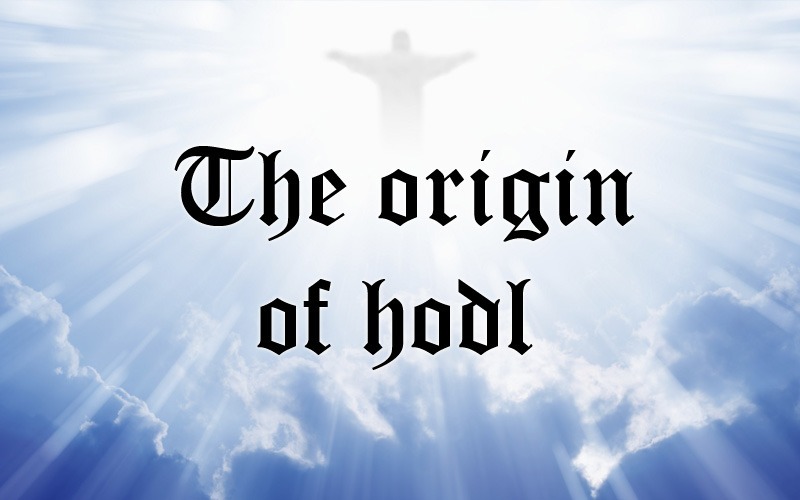 The SON token will the primary tradable token and measure of value of the project. Block rewards and fees will be distributed via the light token. The Light token will be used as the fee token on the network. Like Neo's GAS, the light token will be a fee for computing power used to facilitate transactions and to deploy smart contracts. It will then be used as a block reward for validators of their POS system. The Singularity token will serve as the backbone of the intelligent machine economy, catering for transactions within dAPPs. It is the crypto asset that incentivises the mass co-ordination between IoT devices for data sharing and AI development. Each patent pending, world first, RISC-V Skynet Core system-on-a-chip (Soc) will come equipped with these 3 native tokens. Within the chip will be a license free, open source IP that will enable any IoT device to run a node and execute smart contracts. Each chip will be able to store various cryptocurrencies through an in-built hardware wallet, catering for automated transaction signing that will enable IOT devices to identify the source of blockchain transactions entering the system. The adoption of Skynet core will challenge the current ARM chip architecture that dominates the chip industry, allowing savings for companies by providing a decentralised, license free blockchain alternative to the industry norm. Their ability to challenge such a large player in an established industry will depend on the team they have in place to develop and market their vision. If adoption is facilitated and the tech is proven, the network will allow SON to become the new internet of blockchain, forging the roots for a new artificial intelligence based IoT economy and making Skynet the blockchain that will achieve the much heralded status of mass adoption - very exciting stuff. If you had to define the Skynet team in one word that word would be Academic. The team is a collective of great minds from San Diego, California based heavily around the Universities in that area, with track records breaking boundaries, establishing patents and leading tech innovation throughout the course of their careers. The CEO and Chairman Alexander Shi’s LinkedIn doesn’t reveal a lot. 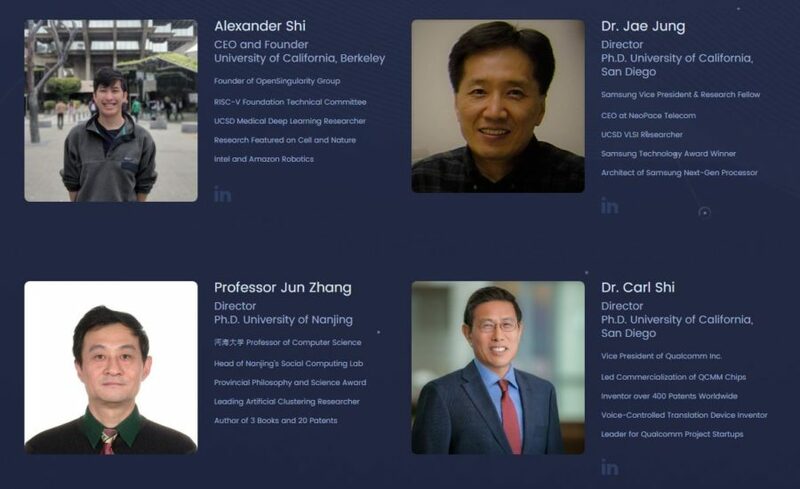 Deeper investigation has revealed he is currently serving as part of the Technical Committee of the RISC-V Foundation and has recently worked for Intel’s wearables and cloud native division. In the past Alex has experience with Amazon robotics and has filed 18 patent-able ideas to date, of which 3 blockchain related patents were successful in 2018. Because of his age Alex will have limited commercial awareness / acquired business acumen and will inevitably need to rely on his board of Directors for guidance in these areas. Supporting Alex is a group of 3 experienced individuals who have continuously innovated through their careers. Jun Zhang, Professor of Computer Science at the University of Nanjing and Head of their Social Computing Lab, is a leading Artificial Clustering researcher and author of 3 Books and 20 Patents. Past Samsung Vice President Dr. Jae Jung is a serial entrepreneur who has extensive experience within the chip industry at CEO level over the last 20 years. Vice President of Engineering at chip manufacturer Qualcomm, Dr. Carl Shi is an inventor with over 400 worldwide patents under his belt, a man well positioned in the world of hardware design who has vital links within the chip manufacturing industry. Skynet have recently acquired 5 further engineers from Qualcomm, which may hint toward a likely partnership with the chip manufacturer in the future. There is also a defined link with San Diego, an area renowned in California as the epicentre for hardware development. Having 10 members of the team emerging from backgrounds at UCSD or past shared experience at Qualcomm suggest a team that has a pre-established working relationship. The Linkedin profiles of the remaining members show a group of relatively young Software Developers and Engineers with experience with the likes of Microsoft, Samsung, Sony, Google and Amazon, as well as aforementioned Qualcomm. 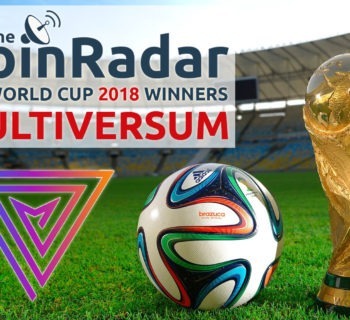 Heavily and correctly weighted on the dev side, the team has a very strong technical skill set but could be criticised for being less focused on marketing and business development, something that would hopefully change as the project gathers momentum. A total of 200 billion tokens available for sale, which equates to just 20% of the total supply of 1 trillion SON tokens., this huge supply of tokens and small percentage available to investors at ICO may put some off, however in for the the scale of adoption planned, the amount of tokens makes sense for the size of the proposed infrastructure. Because of the large supply the value of each SON token at ICO will be just $0.00035p. A red flag for us can definitely be found within the bonus payouts. 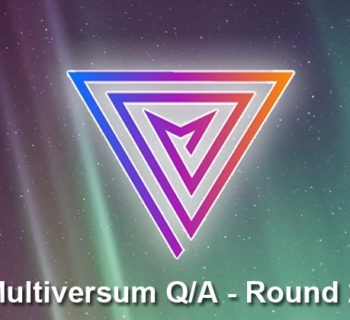 The actual main sale, details of dates to be revealed soon will have a six stage bonus scheme where a 50% token bonus is available for early investors; this then gradually depreciates in reward size as the main sale progresses. Whilst token sales are common for ICOs, a lack of firm pricing at main sales shows a lack of confidence in the value of the token. This also means investors will have tokens that are considerably less value than that of those who purchased earlier in the sale and most likely a lot lesser value than undisclosed bonuses paid out to private sale investors – Thus reducing the value of the token post ICO. For more details of exactly why we dislike this particular bonus system head over to our rating system explained section. If you look straight past the name and the initial witticisms that come with its connotation, Skynet has a genuine ability to disrupt a whole emerging industry by dismantling the current ecosystem and rebuilding it from the ground up. Success of the Skynet project will be dependent on adoption of the blockchain chip across a vast number of IoT devices, the technology will also need to be versatile to adapt to a number of varied hardware requirements and scheduled patents may need to be approved to ward off imitations. If they succeed, Skynet could become the go to choice for IoT devices to merge onto a blockchain network. This will then lead the way to bringing this technology into the hands of the masses.